Emory University Area–Eats & Etc. I wish I didn’t have to wrap up these Atlanta posts–I wish there were a way in which I could just be in Atlanta and eat everywhere I want to. A month later now, looking back, I can’t believe how awesome that trip was, even if I didn’t get to go everywhere and see everyone I wanted to. One of the reasons it was so great, though, was definitely the end: taking a day off of work to show G around my hometown. After brunch at Ria’s Bluebird, G & I headed out towards the Emory/Decatur area. Our first stop, to work off a little of the awesome biscuits & gravy, was Fernbank Science Center & Forest–my home-away-from-home during my junior and senior years of high school. Before my second semester of junior year, my guidance counselor, knowing that I hated my high school (I’d transferred there as a sophomore from a private school in the suburbs) and that I was bored out of my mind (most classes were relatively easy compared to the private school), mentioned that I should check out a joint program the county has with Fernbank Science Center. The program is simple: take a course in ecology or science one day a week for three hours and get out of school one period early every day. Getting out of school early seemed like a godsend, so, naturally, I enrolled in what was available: Forest Ecology. That spring I was lucky enough to wander around and look at plants and bugs and skinks. 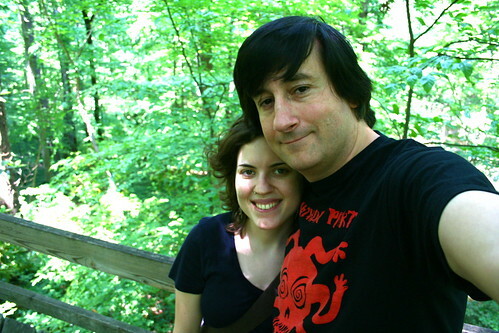 I learned the names of most of the southeastern trees, got to field trip up to University of the South’s mixed mesophytic forest, and I also found my high school boyfriend, fell madly in love, learned all about Indian food as a result, and, in many ways, became the person I am today. I would have been a seriously different person if not for that class. So, given that it’s a place that means so much to me, I had to take G there to see the urban forest wonderland attached to the Science Center. The Fernbank Science Center itself is a relic in the area: it was built back in 1967 and is extremely space exploration-oriented. But there’s also a nifty planetarium there, as well as a science library that is incredibly underused, some photography displays, and a few stuffed once-alive animals. 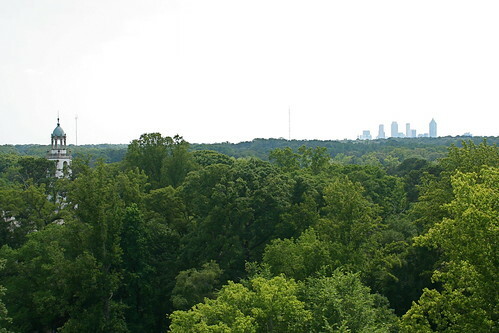 The crown jewel, though, is the Fernbank Forest which covers 65 acres of the urban Atlanta landscape and holds some of the greatest diversity of deciduous trees, flowers, and amphibians in the area. Not to mention a plethora of birds. Paved trails meander throughout the forest and up in one corner is a platform that gives you a birds-eye view of the pond and tree tops. Outside of it they even have urban vegetable gardening, composting, and chicken-raising information (complete with the chickens). One of the roosters definitely hammed it up for the camera. The forest is only open at wonky hours, so be sure to check before you go. But if you get a chance to go during nice weather, you won’t regret it. It’s one of the best kept secrets in Atlanta! Post-forest-adventuring, we drove over to Emory University and I gave G the mini-tour of campus (including several buildings that were definitely not there when I was a student). Other than showing him my department’s building (LEED certified! ), I wasn’t sure where else to go, so we went to the top floor of the library which holds the MARBL (Manuscripts, Archive, and Rare Book) collection. Other than some cool displays and the memories of meeting Li Young Lee and leafing through 1st edition signed Yeats, MARBL has an incredible balcony extending along the perimeter of the building. From it, you can see all of campus, the CDC, and downtown Atlanta on the horizon. Again, if you’re ever in the area, check it out. The business school also has a rockin’ art collection (i.e. Picassos and such), but it’s not something we had time for this trip. Down in the Emory Village, if you’re looking for a bite to eat, don’t worry about the construction (they’ve been working on putting in a traffic circle for years now), just walk over to Falafel King on Oxford. It’s my favorite falafel in Atlanta, and while I’ve heard the sushi is pretty awesome too, I just can’t get past the fried chickpea bliss they serve up. 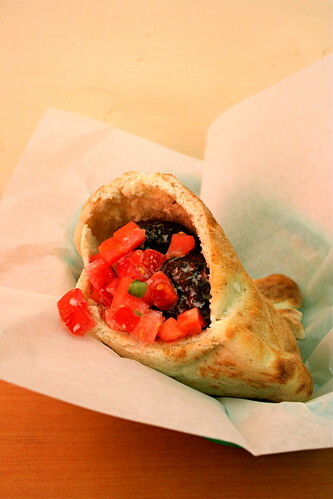 Reasons why it’s my favorite: the pita is soft and pliable (so many others are hard and unreasonable! ), they stuff enough falafel in it for a falafel bite in every bite (so many skimp and you’re left with bites of lettuce and nothing else), they never have an issue with my “no cucumber” request (it’s one of the only weird food dislikes I have), and their spicy orange sauce is to die for (seriously). Just remember that if you’re like me and you only get a falafel & water, bring cash since they have a $5 minimum for charge cards. Mid-afternoon drag and caffeine is a must. While there is the Starbucks in the village, I highly recommend checking out Steady Hand Pour House next to Everybody’s Pizza. 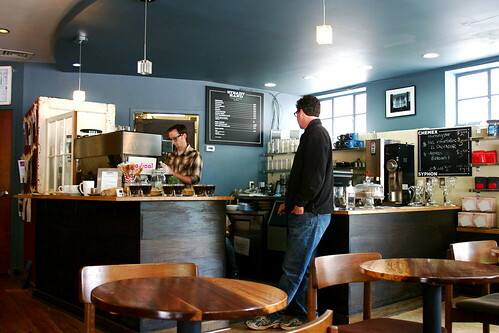 That tiny coffeehouse space has housed five different shops in the time I’ve been going there: Caribou, Inman Perk, something I don’t remember the name of, Octane, and now Steady Hand. Steady Hand is owned by my friend Jamie and I’m really liking the redo of the space–calm, inviting, plenty of good seating inside in addition to the large outdoor patio. Not to mention the rotation of pastries and sweets I’ve been reading about on facebook–rosemary infused chocolate cupcakes, pigs in a blanket with baked brie and granny smith apples, churros: color me yum. All I got while there was a latte–and it was delish. And very caffeinated. Exactly what I needed. One of the things I miss the most in Roanoke is a good coffee shop: one with cutting edge pastries, really effing good coffee (and lots of varieties of beans–really miss that since acidity is a major problem for me), and good good music (indie/alt/a mix of new and old–the stuff you want to study to). Kudos for all of the above at Steady Hand. They also have a coffee truck called Rattletrap which drives around to different food truck events and venues, so check their Facebook or Twitter to find ‘em. So post-Fernbank and post-Emory and post-eats, where to go but Decatur to grab a drink and meet up with old friends? The Marlay, which I’ve posted about before, is a favorite of mine, and with the warm and sunny weather (but not too warm and sunny), sitting on their patio with a brew sounded perfect. 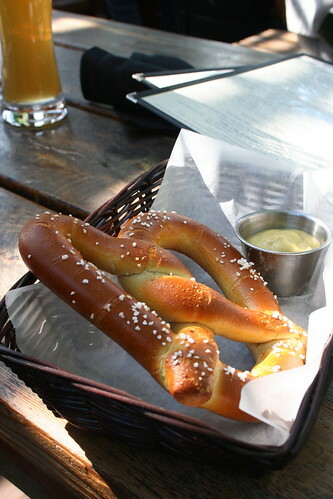 A pretzel on top of that sounded even more perfect. And it was. Oh, Atlanta, I miss it. So much. But I’m so thankful that I still find excuses every now and then to go back and see the people who make it the most amazing city on the planet. And for any dissenters on the food scene, don’t hate it until you try it (and really try it). There’s a reason why Food & Wine hosted a festival there and a reason why I dream of the Dekalb Farmers Market every day–the city and its restaurants and purveyors are just that good. Hi, Jes. Just catching up on your blog…so happy to hear that you’ve graduated! Congratulations. And I can’t think of a better way to celebrate than indulging in fine food. I’ll have to say—that picture of pizza literally made my mouth water. Good for you to come up with a way to take it back to your room! You are really an excellent food photographer. What a fun trip this looks like, Jes. I love falafel, and my hubby is like you – hold the cucumbers! How can such a simple request be so tough to execute? And congratulations on all your hard work at school! I like the new look of your blog. Sounds like a great tour of your hometown. I like going back to old stomping grounds and remembering things. Maybe not old boyfriends, though they are indeed formative. I’ll have to check out the forest the next time I’m in the area. 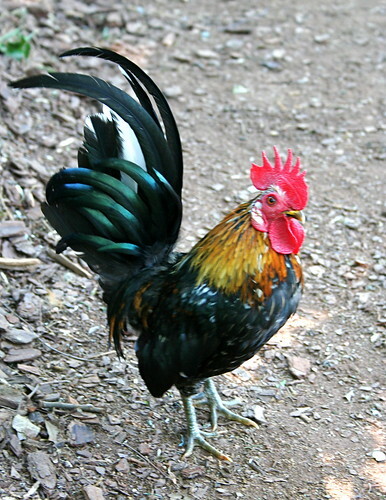 Beautiful photos- That rooster is a stunning creature! I can only imagine how tough it must be to leave such a lovely, comforting place… But now you’re on to bigger and better things. Looking forward to seeing what’s next for you now. Hi Jes, those pictures are great, you really had a great time in there with wonderful experience. 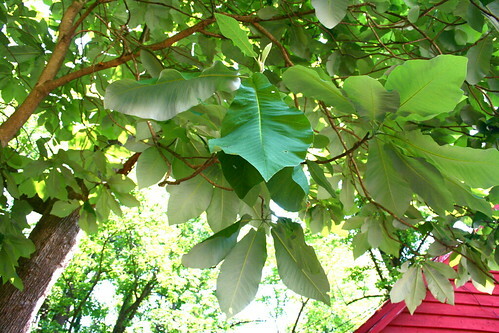 One of the nicest was to see southeastern trees. 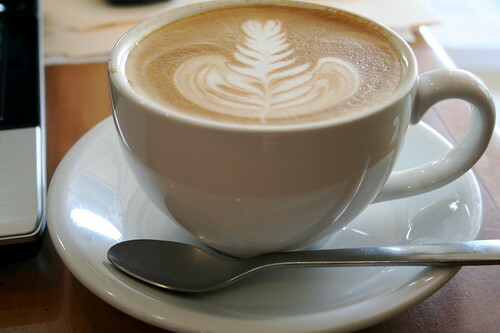 The latte art was good too. Thanks for sharing your great experience, I’ll check out those places too.